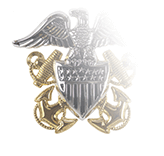 Though no longer mentioned in the Navy and Marine Corps Awards Manual, the American Defense Service Medal (ADSM) is still featured in both U.S. Army and Air Force regulations for awards and decorations. 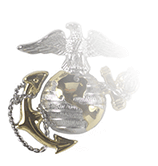 The award was originally established by President Franklin Roosevelt with Executive Order 8808 on June 28, 1941. 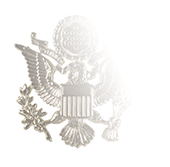 Although the Wikipedia entry for the medal states it was intended to recognize military service members who had served on active duty between September 8, 1939 and December 7, 1941, this is clearly a synopsis of what the guidelines for the Medal eventually evolved into, and not a clear paraphrase of what the original orders actually said. The original Executive Order simply established an American Defense Service Medal and specified that the regulations that would govern its issuance would be promulgated by the Secretary of the War, Secretary of the Navy, and the Secretary of the Treasury; it was to be given to personnel from the Army, Navy, Marine Corps, and Coast Guard who were “serving during the limited emergency proclaimed” by Roosevelt “on September 8, 1939 to exist, or during the unlimited emergency” he proclaimed on May 27, 1941. The award was officially announced in War Department Bulletin 17 and Navy Department General Orders No. 172. The criteria for the Army version of the award were published in Army Circular 44, which is dated February 13, 1942. 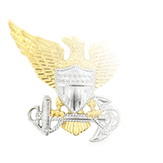 Prior to the establishment of the United States Air Force, the ADSM was awarded to all U.S. Navy and U.S. Marine Corps Service members who served on active duty at any time between the date of Roosevelt’s original emergency declaration—September 8, 1939—and the attack on Pearl Harbor on December 7, 1941. 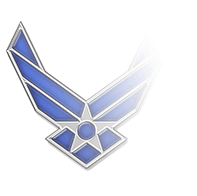 Army members were required to have had served for a period of at least 12 months; the Air Force includes the same stipulation in its regulations.